Notice: We offer commercial financing, which requires you to register a business name before funds can be received. Please read our Business Naming Policy before proceeding. Apply for competitive rates in minutes. Approvals are typically processed within 1-2 business days. Note: Financing is only available in the 50 US states. A great place to start is understanding your credit score, which is the starting point for any lending institution to evaluate you. You can learn more about your personal credit at sites like AnnualCreditReport.com or CreditKarma. Keep in mind that these different sites may use different credit scoring systems. If you finance through us, the decision is based on your FICO credit score, which could differ from the score you see on those websites. When you finance your equipment, you will be building your credit score every month! 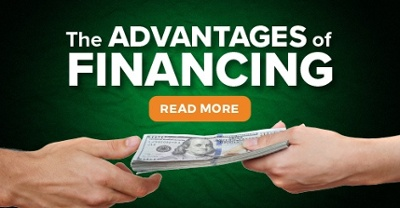 Read more in our blog post The Advantages of Financing. 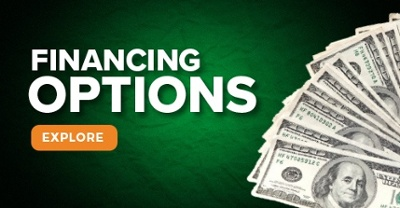 Have more questions about financing?